NEW YORK (WABC) -- LaGuardia Airport is leading the nation in a not so prestigious category: having the most flight delays. 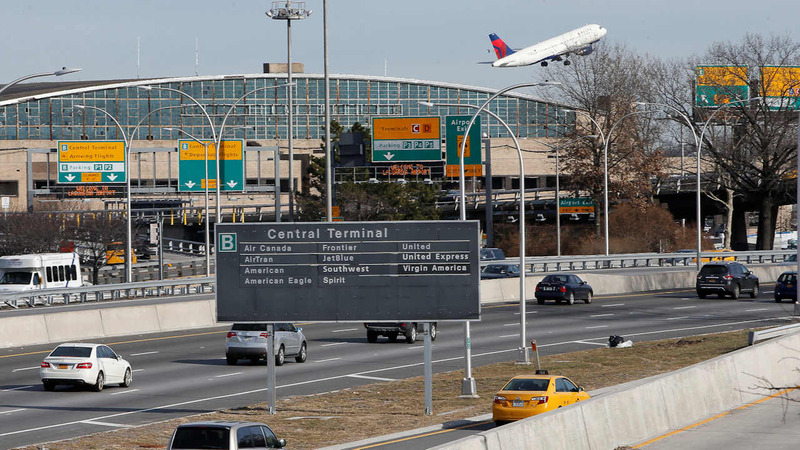 LaGuardia had the highest percentage of delays in arriving flights last year, according to U.S. Bureau of Transportation Statistics data analyzed by the advocacy group Global Gateway Alliance. Newark Airport reached the top percentile in delays for departing trips. JFK Airport didn't escape the frustration of flyers. It also bottomed out on local airports with severe backups. All three regional airports ranked among the bottom for delays in both categories, which measure performance of the country's 29 biggest airports. "Once again, New York airports lead the nation for delays. So while the terminal redevelopment projects are important, these dollars wont be enough unless we address the delay problem too," said Joe Sitt, chairman of the alliance, in a statement. "Put simply, our airports will simply be nicer places to get stuck in." Salt Lake City International Airport had both the lowest percentage of arrival and departure delays in 2016 - that's 12.8% of flights arriving late and 12.5% of flights departing late. By comparison, 28.1% of LaGuardia's flights didn't arrive on time and 24.4% of Newark's flights failed to depart on time. That's because New York has the most crowded airspace in the country, according to the alliance, and that limits operations. Air traffic volume accounted for nearly a quarter of all "airspace delays," defined as delays that can be remedied by airspace improvements, impacting more than 7,800 flights into the regional airports last year.